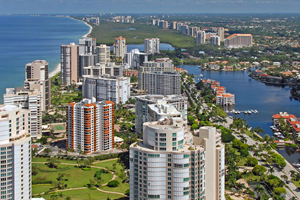 Naples, in the Gulf of Mexico, Florida is well known for its world-class shopping facilities and golf courses. It’s also a very popular fishing and dolphin viewing destination which makes it a location that’s ideal for tourism and of course a myriad of other supporting businesses. Naples is a gorgeous destination from which to run a business. The sandy beaches and calm waters certainly create the ideal environment to make sales and close deals. Do you run a business in Naples, FL? If you do, there’s a few ways in which you can keep business operating costs down without compromising on the service excellence that you offer customers. In fact, you can cut back on operating costs and boost customer service levels at the same time. How? With our professional telephone answering services in Naples, FL you can transform your business from one that operates within office hours to being available 24-hours a day, 365 days a year. Our telephone telephone answering services in Naples, FL, are available in English & Spanish. It is designed to help you connect with your customers and take better care of all the tasks you have on your plate. We offer an all-inclusive telephone answering service: peak time answering, voice-mail assisted answering, appointment setting, emergency dispatch, lead generation, and 24-hour general call answering. The messages and correspondence that our agents record will be delivered to you via phone, email, text or fax. We will also provide you with a unique business telephone number dedicated solely to your business. Enjoy all the benefits of a full-time receptionist without the expenditure or any of the associated taxes, simply by utilizing our virtual telephone receptionist service in Naples, FL. This service is ideal for start-up businesses and small growing businesses that don’t have the budget to hire a full staff complement. You can also make use of our receptionist service if you need temporary staff while your dedicated staff members are sick or on leave. What will you get? Our virtual telephone receptionist service will provide you with a receptionist dedicated to answering your calls, day or night and per your specifications. Partnering with us will mean that you will never worry about missing a business call again. You can improve on productivity, profitability, and have more time to focus on other pressing matters. Virtual answering services are designed to help those who don’t have the time to handle incoming phone calls while busy dealing with daily business matters. Unfortunately, handling all your business tasks and neglecting calls, will result in a poor business reputation. Our virtual answering services in Naples, FL, provide your customers with instant access to product- and business information, booking opportunities and product ordering on a 24-hour basis. Are our agents well-spoken and experienced? Yes! Our bilingual agents will even study your business information to make sure that they’re fully prepared to help your customers in any way possible. Don’t let important incoming telephone calls distract you from your business or affect your productivity. Spending too much time manning your incoming calls can undermine the potential of your business. Not all businesses find it viable to hire full-time staff – for those businesses our outsourced answering services are the answer. By opting for our outsourced answering services, your business can be operating and available, even when you’re not. This service includes answering all incoming calls, recording of messages, provision of information and product details and assisting customers with any relevant questions that they have. Don’t overload yourself and allow being busy to affect your profits. Being overburdened can have a negative impact on your bottom line. Unfortunately, you cannot be available 24/7 to answer every call that comes in, but our Spanish and English telephone answering agents can. Our small business phone services in Naples, FL, are designed to enable you to take care of business while your calls are handled by a professional consultant. With our assistance, you can ensure that your corporate image is professional and impressive. Want to benefit from having your business available to your customers on a 24-hour basis? Don’t want to be tied down to operating within office hours? Now you don’t have to be. Our after-hours – 24/7/356 answering services in Naples, FL, are designed to make your business available to your customers day and night. Our Spanish and English agents can answer your incoming calls, take messages, and provide customers with company and product information. There’s no reason for your clients to wait for hours before being assisted by a professional consultant. If you’re running a business in Naples, FL, and need a helping hand, there’s no reason to incur costs – avoid hiring full time staff members, cut back on costs, and service your customers professionally with business telephone answering services in Naples, FL, offered by Sunshine Communication Services, Inc. Need more information or keen to get signed up? Contact us at Sunshine Communication Inc. today.